It is not known who first brought the Christian faith to the portion of the Western coast of India which today forms the Archdiocese of Bombay. 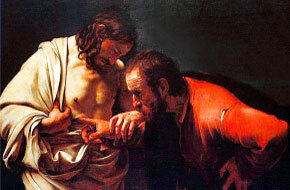 There are some who hold that this area was first evangelized by the Apostle, St Bartholomew; but this opinion has not been given serious support by others. But there are reports of the appointment of a Bishop from Persia in the 6th century at Kalyan and the establishment of Christian churches in the 10th century at the port of Chaul (near Korlai/Revdanda, North of Alibag). Towards the end of 1320, four Franciscans and a Dominican left Tabriz and landed at Thana. 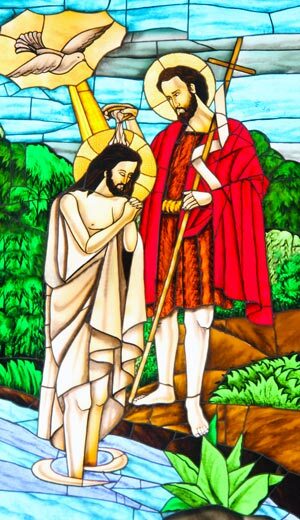 The Dominican went to Sopara in Bassein and established a Christian community there. During this time, the Franciscans were put to death by the local Muslim Qadi (who was later executed by the Sultan of Delhi for the act) and so the Dominican (Jordan Catalana) returned to Thana and ministered to the Christian population. Pope John XXII appointed Jordan as the first (Latin) Bishop of Quilon with jurisdiction over all India. Goregaon (E) was known historically as Pare (Pahadi) village. The Franciscan Friars of Mount Poinsur bought the two villages of Pare and Erangal between 1556-1559. The Church of St Thomas at Pare was mentioned as a parish in its own right when the Franciscan Custodial Chapter met in 1585. The church was therefore, established sometime prior to this date. The year 1560 has come to be accepted as the year of its foundation. In 1630, the parish of St Thomas had the following villages under its jurisdiction: Malara (Malad), Chincolim (Chincholi), Gorgam (Goregaon), Dinsossim, Cherem, Pare (Pahadi) and Arem. The Catholic population then numbered 1362 adults and 300 children. In 1739 at the time of the Maratha war, the Franciscans had to leave Pare. Historians have found records of a Vicar at St Thomas in 1754 and until 1828 after which the parish is said to be attached to St Blaise. In June 1923, a fire destroyed the church and an appeal was made by the Vicar of Amboli for funds to rebuild the church. That church was re-built and blessed on January 05, 1930. In 1945, it became once more the church of an independent parish, under the leadership of Fr. P.R Soares. The first renovation of the church was done under the stewardship of Fr. Filomeno D’Cruz and later expanded by Fr Bento Cardozo in 1985. The main altar backdrop of the resurrected image of our Lord on the cross was installed by the late Fr. Lucian Miranda, who incidentally also refurbished the parish graveyard. The breathtakingly beautiful image of the Risen Lord which adorns the main altar was installed by Fr. Alex Pinto in 2005 as a memorial of the Diamond Jubilee along with a new altar and stained glass windows depicting the baptism of Jesus, and St. Thomas, the Parish Patron. 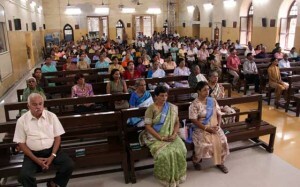 The Diamond Jubilee celebrations were formally inaugurated with the celebration of the Eucharist to mark the Day of the Family on December 26, 2004 – the Feast of the Holy Family and the unveiling of the Jubilee banner. The celebrations reached their climax with the Parish Feast Mass on July 03, 2005 celebrated by His Eminence, Ivan Cardinal Dias, our former Archbishop. At the end of the Mass, the Cardinal presented the Parish Priest with a Papal Blessing brought from Rome for the parishioners. As part of the preparations for the Feast, a new lectern and the new altar were dedicated by Bishop Agnelo Gracias on the first day of the Novena. The celebrations came to a formal close with the Family Day celebrations in December 2005. Fr. Alex was succeeded by Fr. Blaise D’Mello on June 01, 2006 who after a short term of two years passed the baton to our present team (Frs Joe D’Mello and Denzil Correia with Fr. Barthol Barretto at the helm). 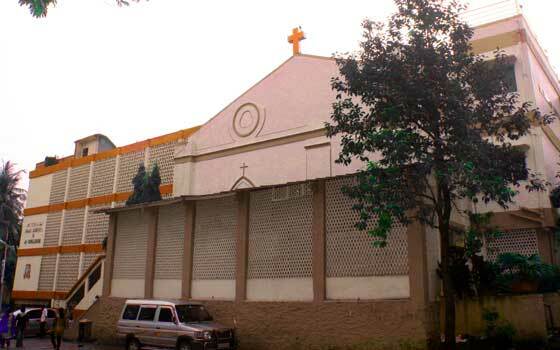 During this period, the parish hosted the Silver Jubilee celebrations of the Small Christian Communities. Various programmes (spiritual and cultural) were held during this year. The concluding part of the celebrations was held on the School Grounds, on November 01, 2009 with the musical, One Vision, a follow-up of Carol Fest 2008 – singers, dancers, artistes all belonging to the parish community took part. There is still much to be achieved and with the wholehearted collaboration of the parishioners, the parish clergy team is marching forward to realize the vision mission statement, namely: to live as a family – to be a Home and School of Communion with Jesus and His Spirit.